There is real abundance in the bits and bytes that are floating about in cyberspace. It's an obfuscated layer that can't been seen with the naked eye, but only conveyed by the powerful machines that are humming across the planet. However, this is only a sliver of what's to come. The internet's exponential rise and its digital tentacles have reached even the most remote destinations. Yes. 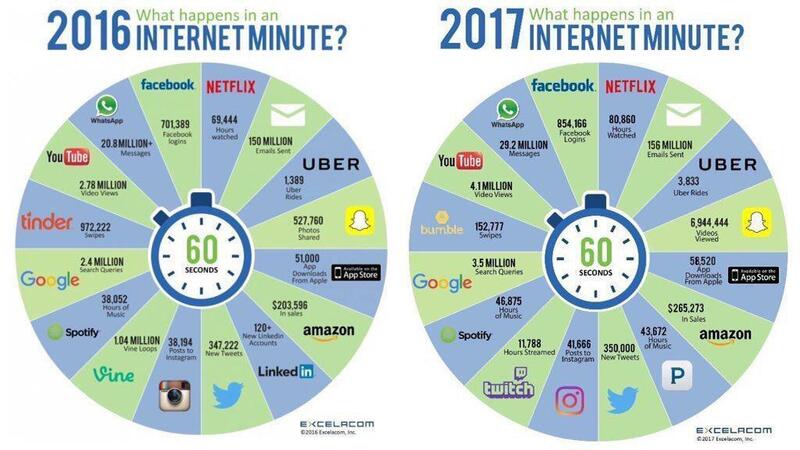 The internet is a behemoth. And most of us do understand how to search for the information we're after. From desktops to tablets, smartphones and beyond. We are all experts at searching. But how many of us know how to dominate Google's search engine to appear relevantly in an online search? Not many. But if you search for an SEO tutorial online, you get an endless array of tips from so-called "experts." Yes, online search is a murky world for those looking to be found at the top of Google's Search Engine Results Pages (SERPs). But as a decades-long student of organic search, I've come to understand the ins-and-outs of what make search engines tick. The truth? It truly can be boiled down to a few fundamental components. At the end of the day, if any tutorial you read on SEO fails to mention the importance of trust, then it falls short of painting the proverbial bigger picture. In the real world, we know that trust is central to life. It's the basis for relationships and the bedrock for success. As Warren Buffet once said, "It takes 20 years to build a reputation and only five minutes to ruin it." So what does this have to do with learning SEO? In short, everything. Without trust, you have nothing. If you bother to learn SEO at all, and you're relying on underhanded methods that include things like shady PBNs and link schemes, you're wasting your time. Instead, focus on building trust as opposed to trying to bend and break the rules. That way, you rise above Google's often-changing rules which are getting better and better at finding people who are looking for shortcuts. If you're not doing the most work for the least initial return, you're wasting your time. You might experience some short-term bursts in rank, but you won't be future proof. And that's the goal -- to become future proof. So in this tutorial, not only am I going to lay the groundwork for the fundamental components of SEO and its underlying factors, but I'm going to give you 12 immutable laws for ranking your content at the top of Google's SERPs. If you're anything like me, then you're looking to understand why certain things work the way they do. If I were to just tell you what methods to use to dominate search, you wouldn't come away with a greater understanding. What's the sense in that? Instead, when you truly understand the nature of trust, and how to build trust over time, you'll understand why certain things work and why other strategies are likely to backfire and get you into hot water over time. Trust is at the core of search. Without it, you have nothing. With it, you can dominate a field that's oftentimes total confusion. Think about this for a moment. in any relationship, the longer you know the other person, the more trust can develop. As long as that person is fair with you and doesn't do anything underhanded or downright wrong, your trust will naturally increase. Google works the same way. When we talk about trust through age, we're talking about the indexed age (i.e. the time since Google originally found you). But, more importantly, what happened over the time since Google discovered your site or page. The content is crucial. 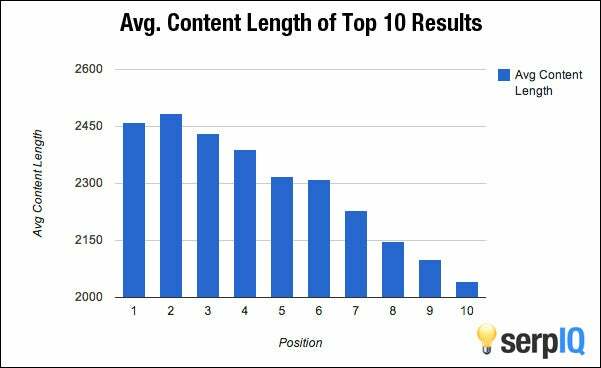 How well written that content is and how much it brings value to the searcher is paramount to its success on Google's SERPs. Many of the 12 immutable laws of online search that you'll see are founded on this trust component. Go out of your way to consistently create detailed content that brings enormous value to the end user, and you'll be on your way to dominating search. Authority relates to the link profile of any site. But not just the number of links. That bears little importance. It's about the quality of those links and how many of them were discovered over time. Was it unnatural or organic? Are the links coming from trusted sources with good IP diversity (i.e. from around the world) or do they continually come from one source? Authority is created over time. It can't be rushed. In total, there are 12 immutable laws of search. These are central to your success in SEO, and any tutorial that fails to mention them falls short. If you're serious about ranking, go out of your way to ensure that each of these 12 immutable laws are met. Simple sounding. Sure. But not quite so easy when wielding this under the veil of well-written content online. It takes practice. But in time, you'll get there. Use Google's Page Speed tool to analyze the speed of your pages. Follow the recommendations provided in the report generated. You could also tools like GTMetrix, Pingdom and Varry. Implement a Content-Delivery Network (CDN) so that your pages are served quickly to visitors around the world (and not just in the geographical location your hosting account is located in). Amazon's AWS CloudFront is great for this. Install Google's AMP to increase mobile page load times, along with AMP analytics. Limit the usage of ads above website's fold (i.e. where it gets cut off before having to scroll). Don't use any shady tactics that will get you into hot water like sneaky redirects, content cloaking, and so on. The authority of the domain is important and it needs to be addressed in any walkthrough of SEO. But the domain's authority (aka the importance of the domain) isn't quite that simple. For example, my blog at Wanderlust Worker doesn't have much authority when you run it through traditional tools to check that authority (i.e. Moz's Explorer) but it consistently dominates Google's SERPs. So this isn't just about the number of links that are going to a domain, but about the quality of those links. Unfortunately, this isn't something you can do quickly overnight. The domain's authority is built up over time. Focus on the quality of inbound links rather than the quantity of those links. Think long term rather than short term here. Short term will get you nowhere with SEO. Put in the work consistently and your domain's authority will rise over time. The quality of the content is vastly important to SEO. How well-written is it? Is it riddled with spelling and grammatical errors or is it error-free? Does the content add an enormous amount of value or is it thin and veiled in an attempt to merely rank for a keyword? Is the content unique? You can't skimp on quality. Not today. Maybe a few years back. Sure. But right now, if you aren't focusing on quality, you're wasting your time. The length of the content is important. But this isn't about being superfluous. This is about creating content that visitors are going consume. We're talking 2,000 words and up. Not less. Less than that is largely a waste of time. Now, if your domain authority is very high, you can get away with shorter content. But, when you combine lengthy content with a high domain authority, you essentially just gave yourself a golden ticket to rank. However, I seldom write fewer than 2,000 words and some of my content has stretched as far as 14,000 words. Yes, for blog posts. Outlandish? Maybe. Does it rank? Heck, yes. 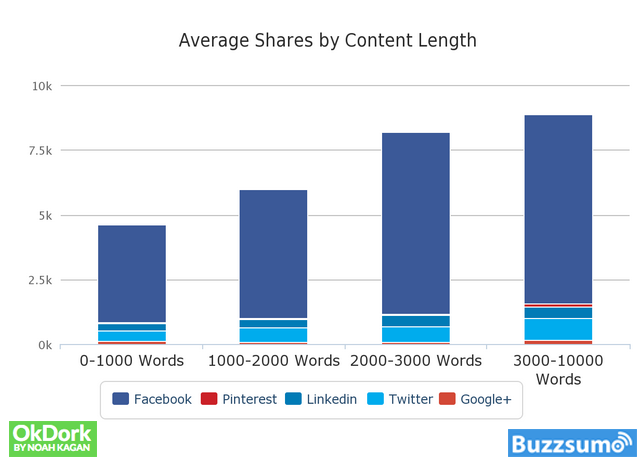 Not only does the longer content better able to deliver more value, it's more likely to get shared, which increases its importance over time. It will also get referenced in other posts, organically, without you having to go out there and fight an infuriating battle to garner more links. Clearly, keywords are important. They always have been and they always will be. Search engines like Google want to know that a piece of content is obviously about a specific keyword. But you can't overdo it. You can't stuff the keyword and use it excessively or use it inorganically. You have to make it sound natural. It needs to be written for humans while also targeting search engines. What's the best way to do this? Well, Google has been focused on semantic search and now uses something called Latent-Semantic Indexing (LSI) in its core Hummingbird engine. LSI is just a fancy way of saying that Google understands when other phrases match the central keyword. So, if we were talking something like "make money fast" we could also use phrases like "generate cash quickly," which is the same thing effectively. One central thing to take away from this is that, first of all, you need one high quality image that goes along with your content. Give it a relevant name and alternative description. Audio and video, when combined and done in the right way, delivers value to the end user, and that's what's important. Don't just skimp on written word. Add multimedia the right way to give your content a very polished and thorough presence. Clearly, mobile is huge. If your site doesn't load properly on mobile platforms, then you're wasting your time with SEO. You need a site that's responsive. It needs to work properly on desktop and mobile, and it needs to load quickly. You can use a framework like Bootstrap for this or if you're on WordPress, select a theme that's mobile responsive. There are a number of great WordPress themes that you can use for this. You don't need to write at a doctorate level to rank at the top of Google. You simply need to write at a higher reading level than normal. Sure, content that's more personal (maybe even at a lower reading level) can rank. But when we're talking about competitive keywords, you need to write a higher level. This means that you need to have diverse word usage. Think like college level here rather than high school level. Your content should reach unique insights. Don't just rehash other content out there and reach similar insights. Do your own piece with your own insights. That's important. It shows that you've thought about the topic in-depth and you've really worked hard to convey something useful to people.